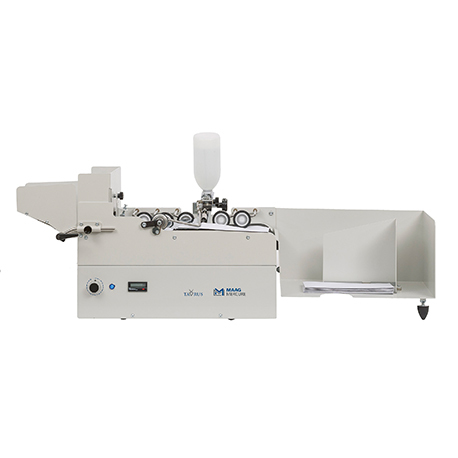 This brand new TAURUS series is considered as the most powerful stand-alone envelope sealing machine of the world. The TAURUS combines all features of the previous models of this format. In addition, this machine seals envelopes with content thicknesses up to 16mm. Depending on the model, this machine can also be equipped with the automatic start / stop system and / or a built-in counter. Furthermore this series is equipped with the new DC drive system, thus this envelope sealing machine can be operated with 110VAC / 60Hz and 240VAC / 50Hz. To seal envelopes with wide, rectangular flaps, the machine can be equipped with a special basin (option 601SF).